What should investors do when asset prices are too high and everything in the market is expensive? During periods like this, Brian C. Rogers, non-executive chairman of T. Rowe Price, said having a risk-sensitive yet optimistic outlook is important. “It’s a good time to be well-diversified and very cautious,” Rogers said at a talk organized by the Gabelli Center for Global Security Analysis on April 12. During the recession of the 1970s, he said investing was less of a business and more of a craft. 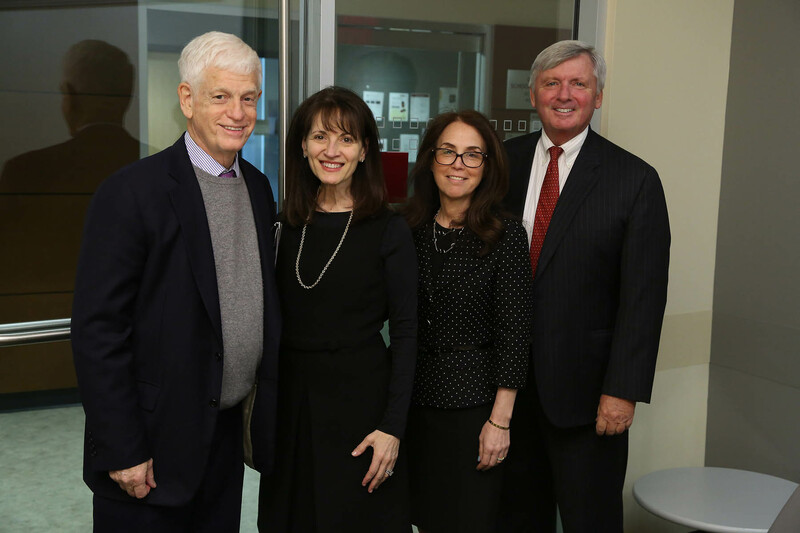 (L-R) Mario Gabelli, GSB ’65; Regina Pitaro, FCRH ’76; Donna Rapaccioli, Ph.D., dean of the Gabelli School of Business; and Brian C. Rogers, non-executive chairman of T. Rowe Price. A Barron’s Roundtable veteran, Rogers joined T. Rowe Price as a portfolio manager in 1982. For 30 years, he served as the firm’s portfolio manager of the U.S. Large-Cap Equity Income Strategy and the Equity Income Fund. 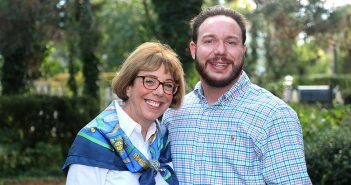 At the talk, he reflected on the evolution of the Baltimore-based investment management firm. He said back in the ’80s, T. Rowe Price employed about 250 people and invested about $10 billion dollars. Today, the firm has 7,000 employees in more than a dozen countries. It also invests about $1 trillion across a wide range of asset classes, including equity and fixed income, he said. “We’re a very different company today and it’s a very different investment environment,” said Rogers. While technology has led to improvements in the investment process, Rogers argued that it can also “impart a feeling of overconfidence and false precision” in finance. 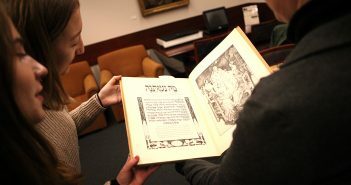 “Correctly assessing book value per share has always been a big challenge,” he said. One of Rogers’ first assignments at T. Rowe Price involved managing balanced funds for hospitals, small universities, and high-net-worth individuals. Though most young investment professionals gravitated toward emerging growth funds at the time, Rogers said working in balanced funds challenged him. “Sometimes doing dirty work gives you a jump start even though it doesn’t feel like a great thing to do at the time,” he said. Rogers believes getting on a path to investment success is a matter of looking at your leadership style, what you want to do, and how you want to work. “There are some people who have an entrepreneurial edge and they really want to work for themselves, and there are other people who like to work in a big organization …that’s neither good or bad, it’s just whatever works [for you],” he said. Rogers encouraged students who are interested in a career in investment to learn the basics of accounting, finance, and financial analysis. Rather than pursue short-term financial success or opportunities at a variety of firms throughout their careers, he advised aspiring investment professionals to seek a position at a reputable firm that provides opportunities for professional growth. “In a theoretical world, if you work for a company and you like who you work with and they pay you really well, and you have a great opportunity to grow, you should never leave,” he said. Established in 2013, the Gabelli Center for Global Security Analysis aims to support and promote investment analysis through a variety of programs designed to foster dialogue among scholars, practitioners, and students. 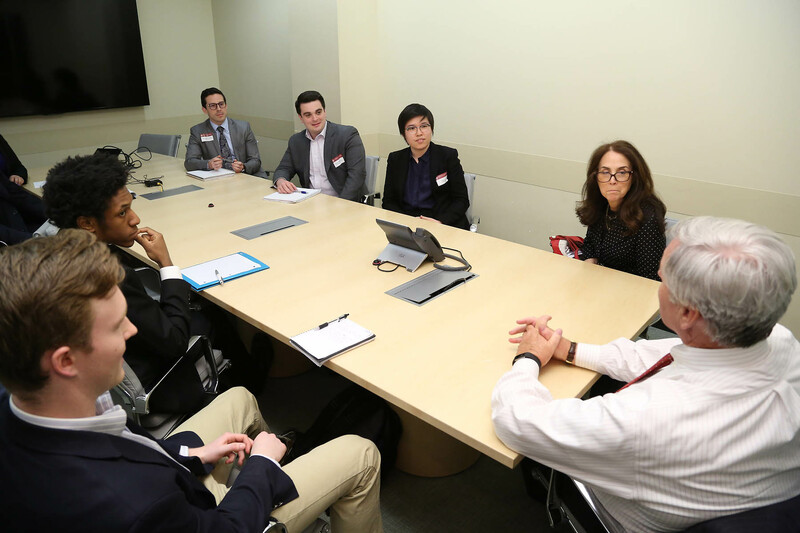 Brian C. Rogers, non-executive chairman of T. Rowe Price, meets with students from the Gabelli School of Business before delivering a talk on his 37-year career in investment management.